We deliberately chose the name "Evergreen" because these trees never lose their leaves. 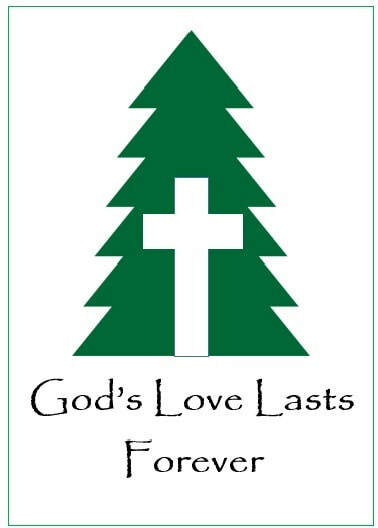 We felt it was the perfect symbol for God's love for all of us: it lasts forever. Our faith in Christ drives all of our decisions in all walks of life. to read more about our Vision, Statement of Faith, and Constitution. Other documents required for enrollment are included below. ECS provides a number of extension classes designed to supplement and support your student's homeschool curriculum. We are dedicated to planning a variety of both social and educational activities for students and families. We do have a maximum capacity set for our student enrollment (based on facilities and mission statement values). So please understand that simply completing the necessary enrollment forms (links below) does not automatically guarantee your spot. It is required that you contact the ECS administrators via email to express your interest. We will then set up a personal interview to discuss your involvement in Evergreen, answer questions, see if it will be a good fit, etc. Basically, it's a first-come, first-serve basis for those who interview, are confirmed by the administrators, and then commit via completed enrollment forms.